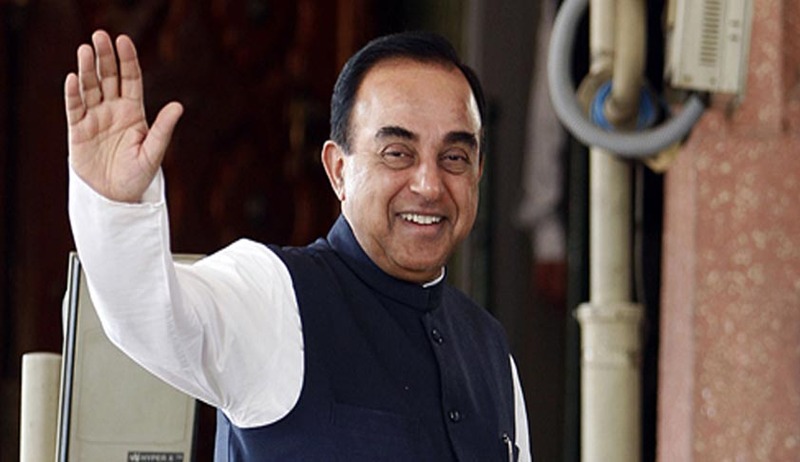 The Supreme Court yesterday agreed to examine Subramanian Swamy’s plea to challenge to Section 153, 153A, 153B, 295A, 298 and 505 of the Indian Penal Code, relating to hate speeches, arguing that these provisions violate Fundamental Rights of free speech and expression. He asserts that these provisions are often misused by the authorities to bother individuals. A Bench comprising of Justice A.K. Sikri and Justice U.U. Lalit told Swamy that another Bench would be hearing the matter, as Justice Lalit wanted to recuse himself from the case. This was because Justice Lalit had earlier appeared in a case relating to hate speeches, during his days as a senior counsel. Mr. Swamy’s actions were triggered after an Assam Magistrate’s issued him summons on the basis of some newspaper reports that the BJP leader had carried "garbled motivated versions" of a speech he had given while referring to the Ayodhya row. He claims that the Karimganj Magistrate issued summons against him without even having a proper inquiry into the speech that he had deliver at Kaziranga University. Swamy admitted that he had "stated simply that Islam permits such demolition and indeed such demolitions do take place in countries such as Saudi Arabia, Turkey and Pakistan". "Apparently garbled motivated versions of this speech were carried in the press, highlighting just this one observation," Swamy claimed. He has hence also sought a stay on the order of the Additional Judicial Magistrate, Karimganj in Assam. Seeking a stay of proceedings before the trial court, he had said, "Karimganj has a majority Bengali speaking population, with close ties to Sylhet in Bangladesh. It is isolated from the rest of Assam and is dominated by illegal Bangladeshi migrants who are hostile to Assamese speaking majority of the rest of Assam; and the Petitioner has apprehensions for his safety when he appears in Court there." His petition claims that over the past couple of years, the provisions were being increasingly misused particularly against him, "sometimes (with) malafide (intent) and maliciously", by various authorities politically inimical to him. He said these authorities wanted to penalize him for his "clear headed extensive research and his ideological beliefs" to make him "conform to the norms of certain special ideological and religious groups". He brought to the Court’s notice that FIR/Summons had been issued against him from at least 5 States: Delhi, Maharashtra, Assam, Punjab and Kerala.